Few places on Earth inspire travel as much as the beautiful and exotic country of Thailand. Those teaching English in Thailand have the unique opportunity to discover the country and culture, while also becoming a part of the community where they teach. Visitors to Thailand are first usually struck by the sense of history that permeates this Southeast Asian nation. Formerly known as Siam, Thailand is nestled between Cambodia, Myanmar and Laos on the Indochina Peninsula. It is believed that Thailand has been inhabited for around 40,000 years, and many protected sites across the country date back to at least 2,000 B.C.E. In the capital city of Bangkok, many of the country's historic temples and attractions are located in the Old City district. Participants in our Teach English in Thailand program should not miss the opportunity to see sights such as the Grand Palace and the Buddhist temple of Wat Pho. Bangkok was named the capital of Thailand in the 1780s under the rule of King Rama I The Great. Prior to this, the ruined city of Ayutthaya served as the country's largest city. Today, Ayutthaya remains one of the best-preserved ruined cities in the world, with huge vines snaking across many of the original structures. 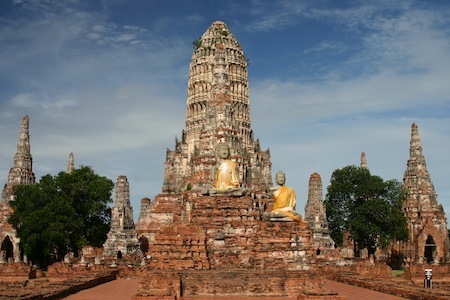 Ayutthaya is easily accessible on a day trip from Bangkok, so individuals on working abroad programs can fit in a tour of this remarkable site on a weekend. Located in the northern part of Thailand, Sukhothai was the capital city of Thailand's first independent state in the 13th century. Sukhothai National Park is a UNESCO World Heritage Site that covers more than 25 square miles and contains approximately 200 individual ruins of the former civilization. For a small fee, you can rent bicycles and tour the area on two wheels, enabling you to enjoy the splendor of the Thai countryside and see more of this vast national park. 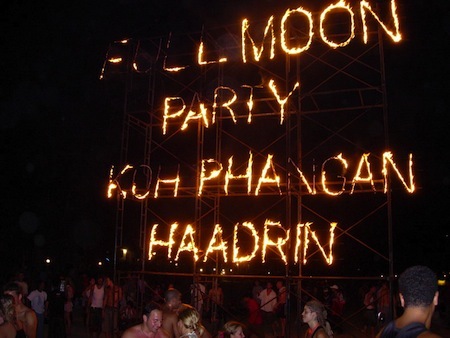 Perhaps best known for its Full Moon Party that attracts thousands of revelers every month, Ko Pha Ngan is one of the easiest of Thailand's islands to discover. The beautiful beaches and mountainous jungle terrain that share the topography of the island offer something for every kind of traveler. And with coconut harvesting and fishing being the island's primary trades besides tourism, Ko Pha Ngan is a welcome escape from the bustle of the bigger cities on mainland Thailand. Thailand offers multiple opportunities, both as a tourist destination and a site for cultural learning. Cultural exchange programs are a great way for American participants to not only earn money while living in an exotic location, but to discover the attractions and different practices that make the country such an exciting travel destination.